i am not afraid of badoo-nollywood acto. While other Nollywood stars who reside in Ikorodu have declared their fear of the dreaded Badoo cult, one actor has refused to bow. 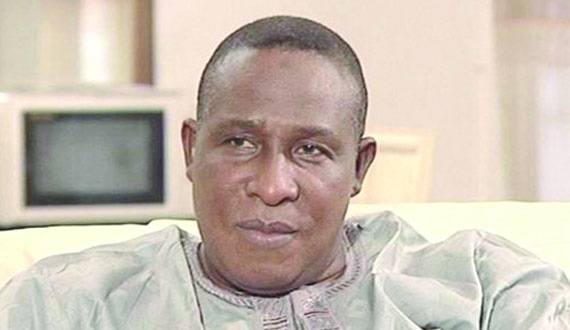 Veteran Nollywood actor, Adebayo Salami who is popularly known as Oga Bello says even though the killings first started in his neighborhood, he has no fear because God is on his side. The actor said this in an interview while talking about the brutal killings carried out by the members of the dreaded cult. “If you have God, you have everything. I am not really scared of them because I have God by my side to protect me. I am very prayerful and I am following the instructions given to us by the government. Our prayer is that God should not let these boys ever come close to us. “I don’t move at night; neither do I leave my house very early in the morning. Some of my friends may want to think twice before coming to pay me a visit but I am fortunate not to have friends that move around at night.